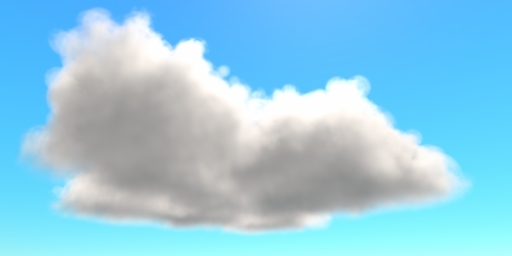 Carrara’s own Volumetric Clouds render quickly and look great but they can only produce results for a limited range of realistic clouds. Undeveloped flat based Cumulus and broken up Fractus clouds can be made with the Cumulus 1 and Cumulus 2 shapes. The Big Cumulus shape is a bit more lumpy. 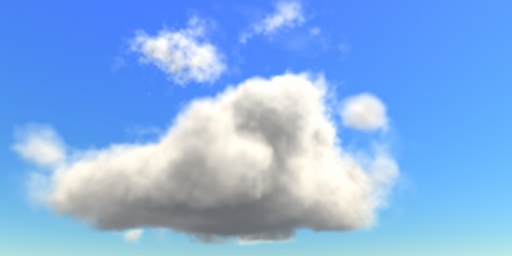 None of the existing cloud shapes can be used to make a really puffy Cumulus cloud with distinct rounded outlines on top. Another limitation of the existing cloud types is that only the noise animates. Using extreme values the secret of the cloud shape is revealed. 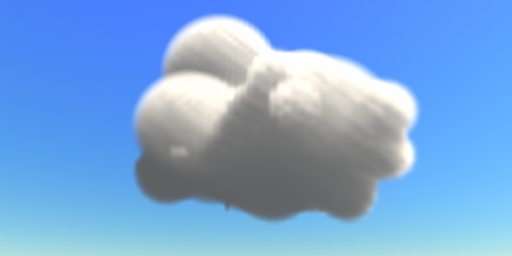 It turns out that new cloud shape plugins can be made with the Carrara SDK. So I set out to test and create my own new cloud shapes. The idea was to make something that worked much like the existing shapes but to give them a bit more ‘purpose’ when they animate. In real clouds the puffs appear to rise, grow, tumble and churn. 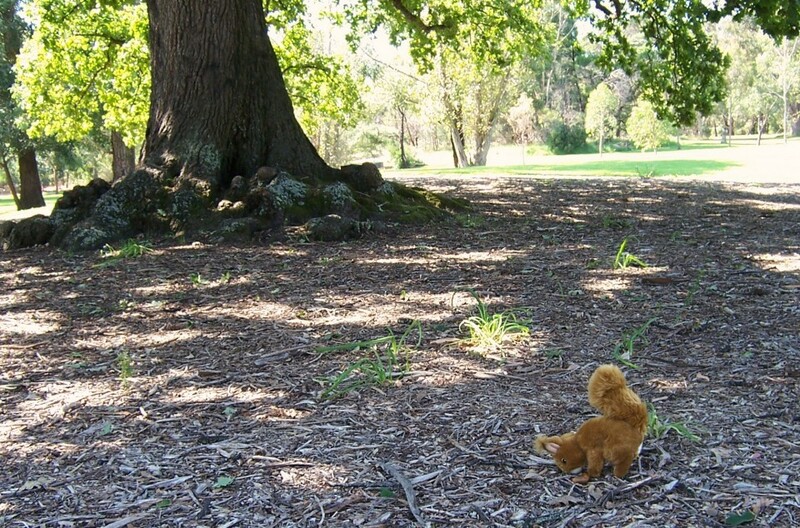 I would look for a way to get something in between a simulation and what looks real to find that purpose. One of the challenges was to formulate cloud shapes so that they did not need to run a simulation and my solution was to follow random but cyclic paths and to evolve the cloud over time. I favoured this approach rather than using a fountain or a particle effect. With the added complexity my Cloud shape is much slower to render, especially when the first ray hit occurs and Carrara builds its lighting cache. 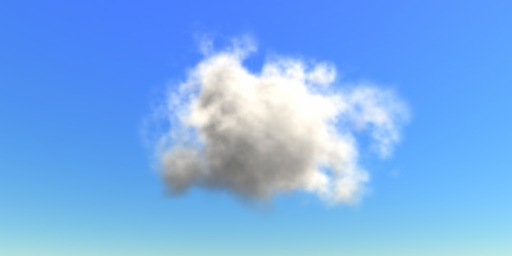 The amount of detail to generate smaller and smaller puffs can be controlled for a faster render, along with the normal volumetric cloud accuracy settings. My Cloud has many extra parameters and I have placed up to 9 clouds in the one volume arranged into banks. This entry was posted in Clouds on October 25, 2016 by Administrator.